Paddy Considine’s long-awaited follow-up to 2010’s Tyrannosaur. 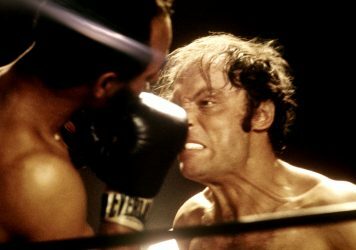 A heartfelt tale of physical recovery, but the boxing element feels entirely superficial. The great performances don’t quite make up for the functional storyline. 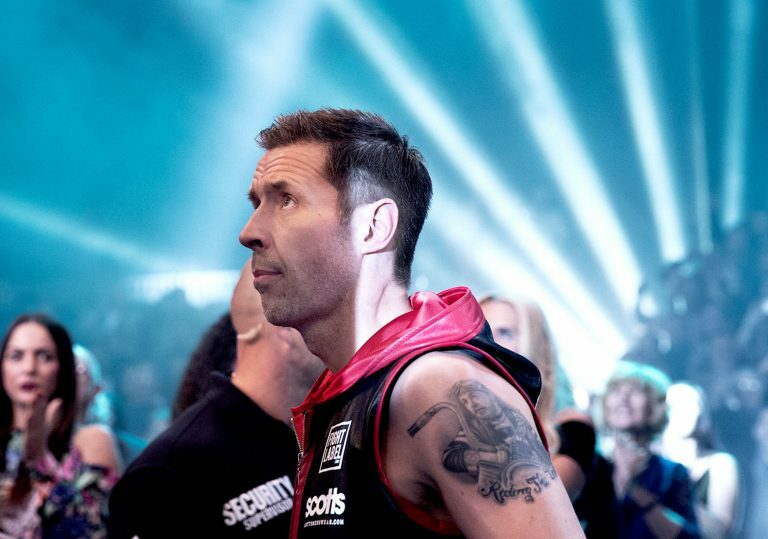 As with its pugilist hero, Paddy Considine’s second feature as writer and director is scrappy, appealing and wins the day not with a knockout, but scrapes through on points. 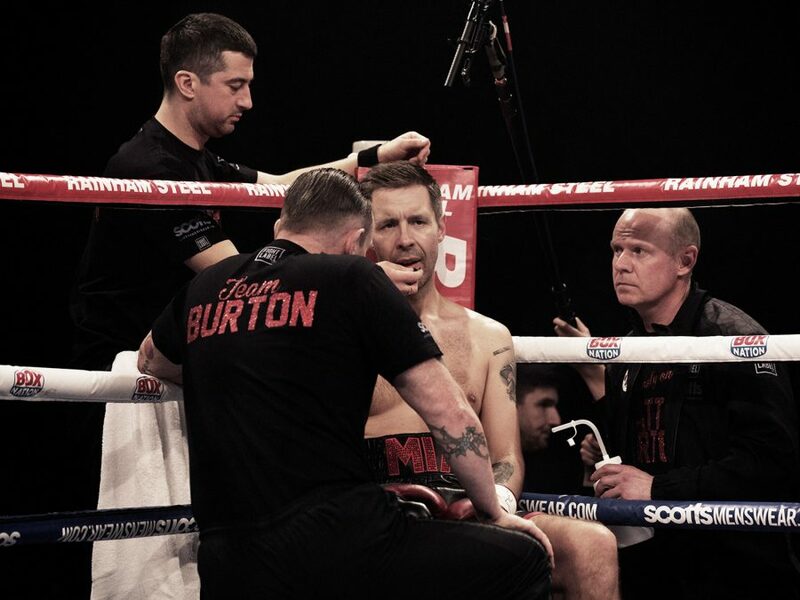 Middle-weight mainstay Matty Burton (Considine) is a father, husband and perma-grinning gent – a little at odds with the knowingly vulgar world of British boxing. When opponents resort to cruel taunts as a way to whip up a sense of drama, he demurs, allowing laser focus and old school sportsmanship to win out. 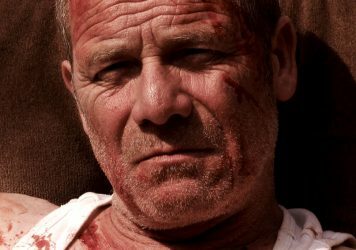 Yet Journeyman isn’t a boxing movie. It isn’t even a sports movie. With a final bout under his belt and a life of domestic bliss neatly laid out ahead of him, one more unexpected (and giant) hurdle reveals itself as Matty returns to the family nest and collapses, suffering the brutal initial effects of a serious brain trauma. For a while, the focus is split evenly between the tragedy of Matty’s sudden disorientation and the efforts of his stoical wife Emma (Jodie Whittaker), as she tends to both their baby daughter and a husband who’s having to re-learn basic functions from zero. There can be no argument that Considine is a world class actor, and he relishes the opportunity here to deliver a meticulous and respectful portrait of a man who loses vital contact with body and mind that never once looks like a mere technical exercise. There’s a hint early on that, even though the film’s title refers to Matty, the film might in fact be telling Emma’s story, as some of the strongest material involves observing Whittaker exuding a maternal kindness as she internally tangles with this harsh new reality. She knows that pining for the Matty she once knew would be to deny her love for the man she married – in sickness and in health. She believes that his condition is a mere blip, that rehabilitation is an inevitability and normalcy will return. But Considine decides to present a darker side to Matty, riffing on the idea that, while he might be damaged up top, physically he’s still as strong as an ox. Looking specifically at the performances and the moment-to-moment interactions between actors, the film sparkles. The emotions are big and bold, and the tone always errs on the just right side of syrupy sentiment. 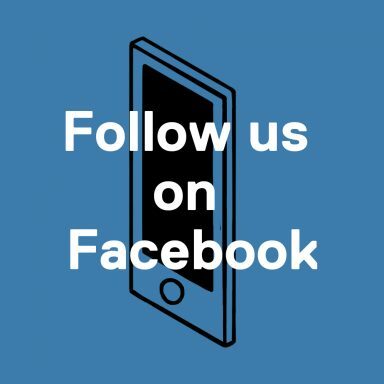 Where it falters is in its unconvincing storyline, where Matty and Emma are essentially left alone directly after the accident with no apparent help or guidance on hand. Matty’s training team scarper, and their fear of having been complicit in the accident never rings true. It’s the series of contrived situations that prevent the film from soaring. It also employs some fancy footwork to retain a cordial relationship with the world of boxing. 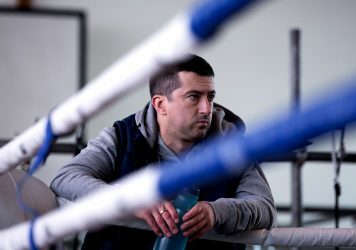 The chronic health risks posed by boxing are neatly chalked up as a necessary evil, as Matty sternly refuses to blame either colleagues or opponents for his ailments. He doesn’t seem to mind that he has been tossed to the gutter and left entirely alone. But Considine doesn’t appear interested in offering a critique of this world, instead focusing entirely on the difficult recovery process. On that front, it feels like a bit of a cop out.